KALDEWEI, Ahlen, March 2019. – The most important element of Kaldewei’s DNA: is its superior material steel enamel. All Kaldewei’s bathroom solutions are made of robust steel and exquisite glass fused together creating an inseparable bond, that delights customers and partners all over the world. With its non-porous, glass-hard surface, this high-tech material not only looks and feels beautiful, but is also persuasive due to its superior functionality and its great sustainability. The premium bathroom manufacturer’s timelessly beautiful shower surfaces, washbasins and baths represent exceptionally long-lasting value, giving the customer peace of mind for decades to come. 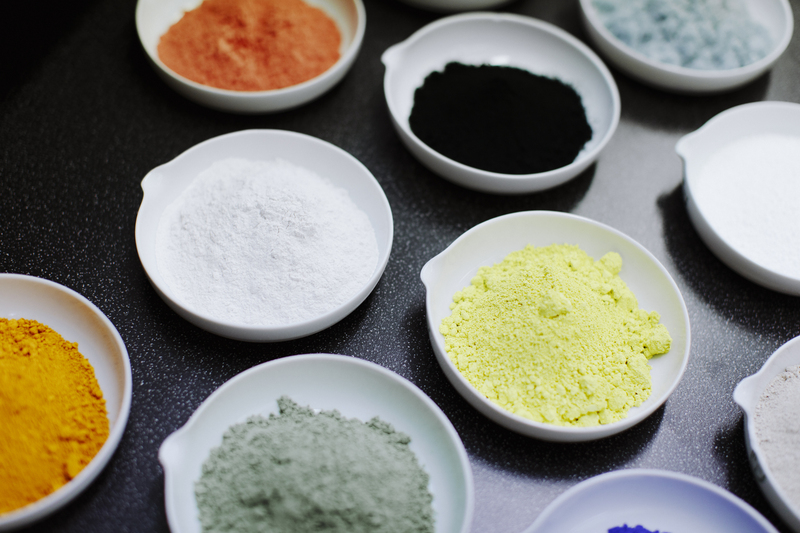 One reason for the material’s high quality is the unique formulation that Kaldewei uses to produce its own enamel. 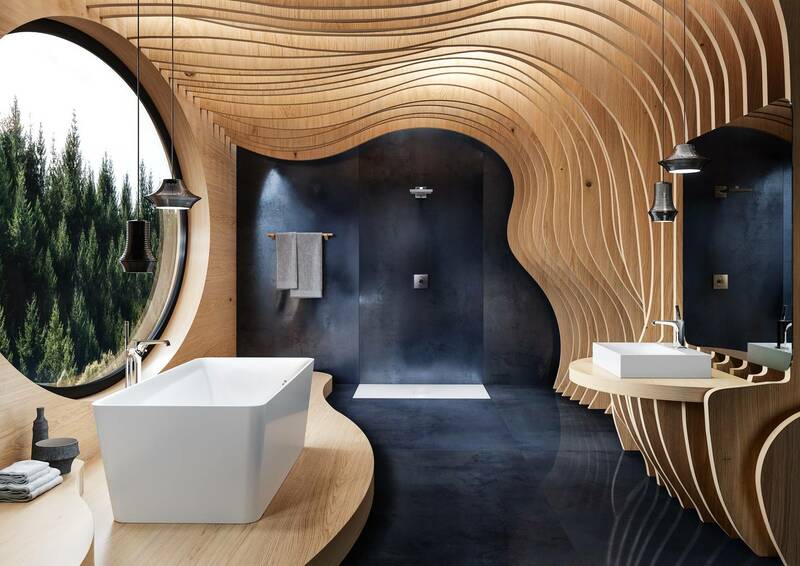 With a century of experience behind it, Kaldewei produces beautiful iconic bathroom solutions for all bathroom designs and ensure lasting value in the bathroom. This is something that customers worldwide see, feel and appreciate day in, day out. Within steel enamel, the material properties of steel and glass work symbiotically in perfect harmony. Steel stands for robustness, toughness and the ability to keep its shape. Glass offers a superior look and feel, is resilient, easy to care for and hygienic. 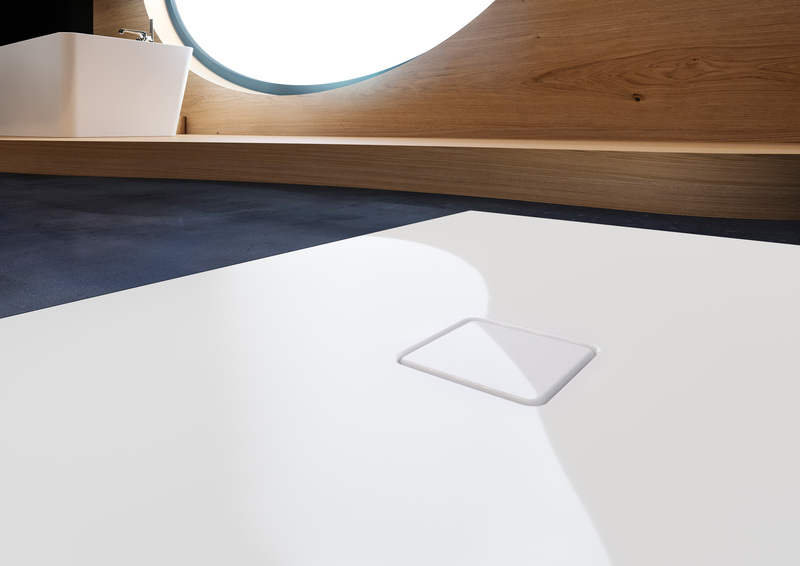 Kaldewei bathroom solutions respond to new and modern requirements with innovative surface finishes such as anti-slip Secure Plus enamelling. Kaldewei’s timeless steel enamel bathroom solutions are not only beautiful and functional, but are also ultra-sustainable. Kaldewei steel enamel is made of natural raw materials which are refined during state-of-the-art production processes. Thanks to their unique material advantages, Kaldewei products have a very long useful life, supported by a 30-year manufacturer’s guarantee. All products made of Kaldewei steel enamel are 100 % recyclable. They can be recycled fully and with little effort. Not only does this deliver an ecologically caring material, but also feels good to the touch when bathing, showering or washing. Kaldewei, and its superior steel enamel material delivers a precious material that is 100 % natural and recyclable, and uses cutting-edge production processes that are gentle on the environment. All these environmental qualities are synonymous with the Kaldewei name and the material benefits of steel enamel. There are many good reasons why Kaldewei’s superior steel enamel bathroom solutions stand out, by combining timeless design with exceptionally long-lasting value, Kaldewei continues to deliver outstanding results both now and in the future. Kaldewei steel enamel: Robust steel and exquisite glass fuse together to create an inseparable bond that delights customers and partners all over the world. 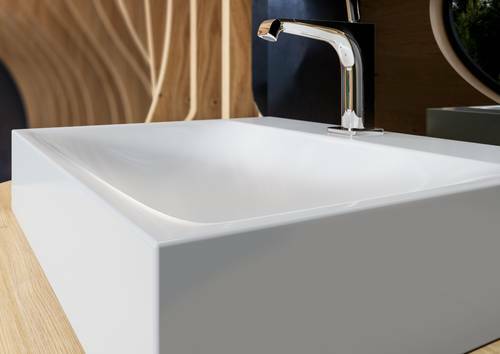 Kaldewei’s timelessly beautiful shower surfaces, washbasins and baths represent exceptionally long-lasting value, giving the customer peace of mind for decades to come. Products shown: Kaldewei Meisterstück Incava, Conoflat shower surface and Silenio countertop washbasin. Kaldewei, and its superior steel enamel material delivers a precious material that is 100 % natural and recyclable, and uses cutting-edge production processes that are gentle on the environment. All these environmental qualities are synonymous with the Kaldewei name and the material benefits of steel enamel. Product shown: Kaldewei Silenio countertop washbasin. In addition to private builders and developers, who rely on Kaldewei bathroom solutions, architects and hoteliers are also impressed by the special properties and advantages of Kaldewei steel enamel. 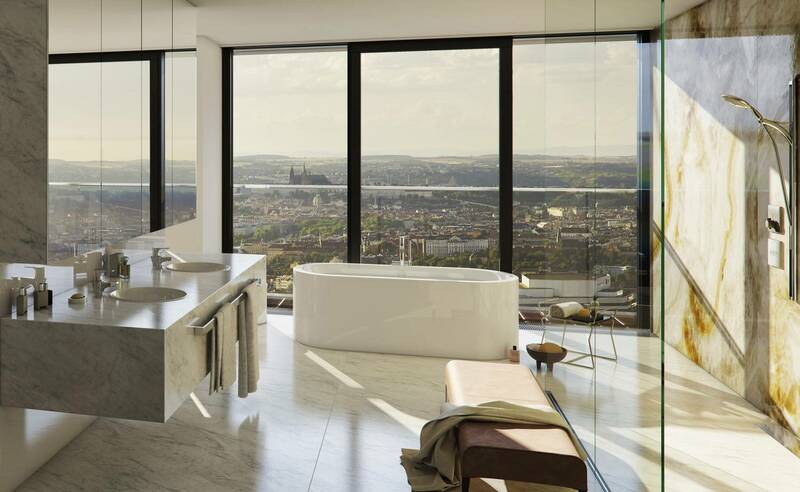 In the penthouses of the V Tower in Prague, the Meisterstück Centro Duo Oval baths invites guests to bathe and relax. This exquisite bath model from Kaldewei stands for elegance and substance, and is perfectly at home in the luxurious interiors. 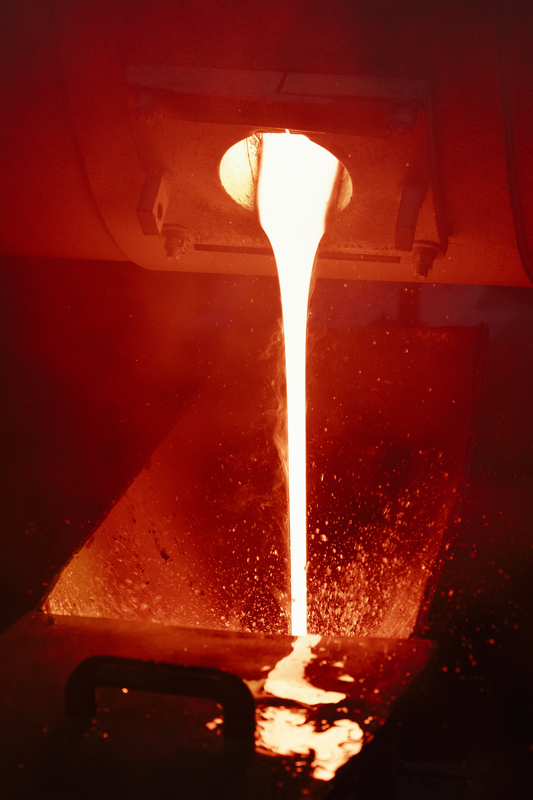 Kaldewei is the only bathroom manufacturer that produces its enamel in its own smelting plant. The enamel formula was developed at the Kaldewei laboratory and has been constantly refined over decades. Raw materials from six contents are processed to produce the enamel.